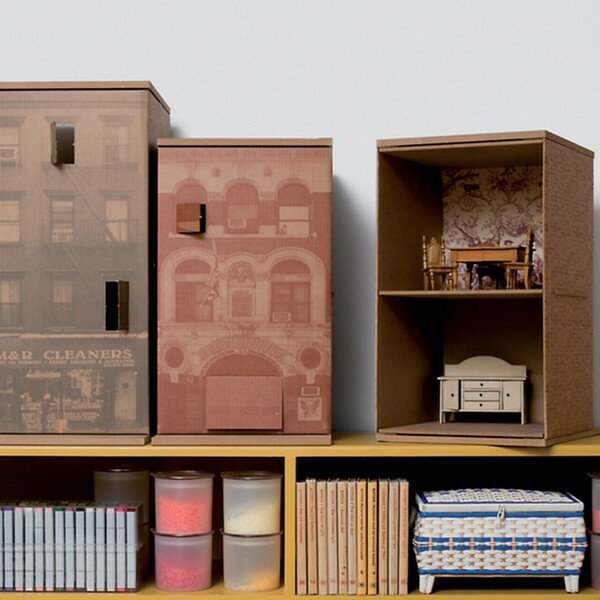 Shoeboxes can be found in any house and sometimes just gather dust somewhere in a pantry. Or you have just bought (or made) a lovely shoe organizer and don’t need boxes anymore. 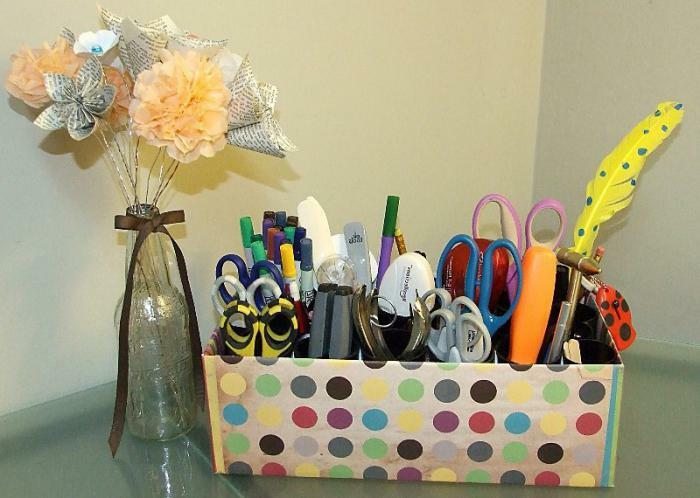 But don’t be so quick to toss them in the trash – there are many interesting and functional ways to turn common old shoeboxes into convenient storage systems or stylish interior items. Let’s have a look! 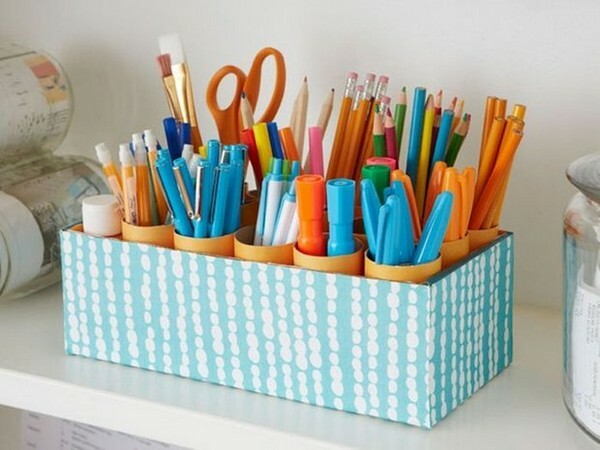 A shoebox may be useful in attempts to get your work space organized – it can be easily transformed into a nice caddy for your pencils and pens. Just a shoebox and several empty toilet rolls are required. In our world of gadgets finding the right clicker in the house may be a true challenge. And the reason is because our TV or music system remote controls don’t have an appointed place. 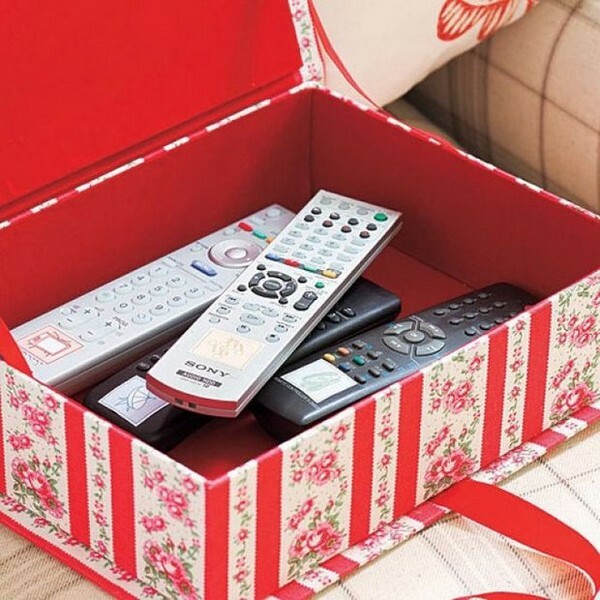 This can be solved by means of a shoe box, which can be decorated with fabric or wallpaper remainders to your taste. If you have long dreamed about getting a pretty rustic-style wickerwork basket, there is a money-saving way to make it by yourself! 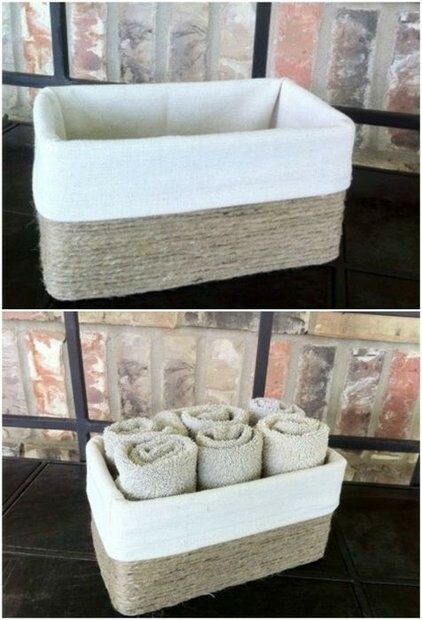 Just wrap common cheap jute around the box and put a piece of your favorite fabric on the bottom – and your cute towel basket is ready! It will surely find a place in your bedroom or bathroom and will bring pleasure for many years. 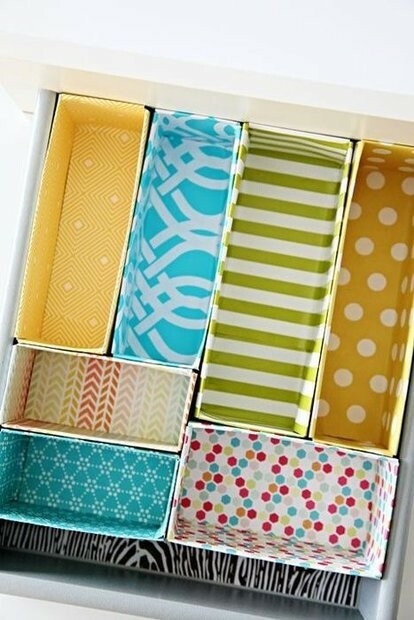 To keep your drawer storage system more convenient and ergonomical, it’s better to put a few dividers in it. They can be purchased in DIY or hardware stores, but shoeboxes are a good alternative. To make them more aesthetical, you may use wallpaper, fabric, colored paper or self-adhesive film. Besides practical functions, shoeboxes may be very decorative. For example, such mini-houses will look great both in toddler and living rooms. Going out for a family picnic is pretty interesting and funny. And if you’re approaching this event with earnest, you simply can’t do without a special picnic box. There are plenty of models available in shops, but hand-mades are always more near and dear to our hearts. 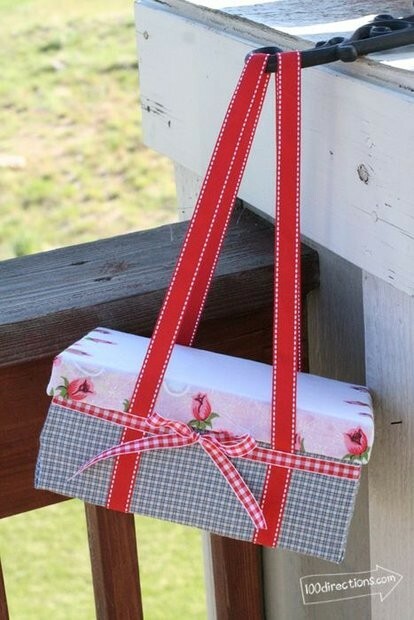 Especially taking that all you need is just an old shoebox, a few small pieces of fabric, a wide ribbon to make handles and a hot glue gun. If you made use of shoe boxes and the lids just lie idle, you may create personal wall art. 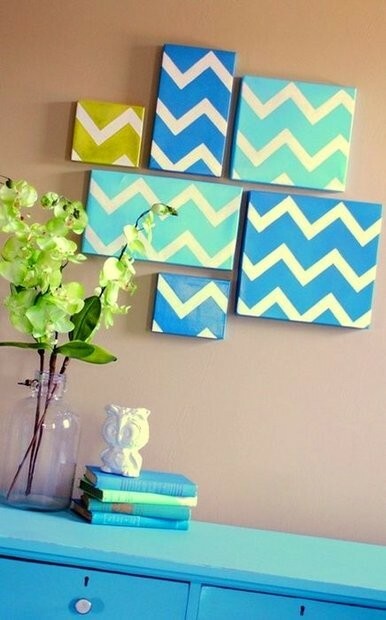 Just add some wall- or color paper and your imagination to get a stylish wall décor.